In other news, a pair of suspects were arrested on gun, marijuana charges and a pair of Cinnaminson High School softball players featured in Carpenter Cup. Cinnaminson Police Officer Garrett McLaverty was awarded the ‘Top Cop in Burlington County’ award, while Westfield Friends School celebrated their 2017 graduation ceremony. Catch up on the top stories of the week in the Weekly Roundup. Cinnaminson Police Officer Garrett McLaverty poses with his awards at Rutgers University on June 14. 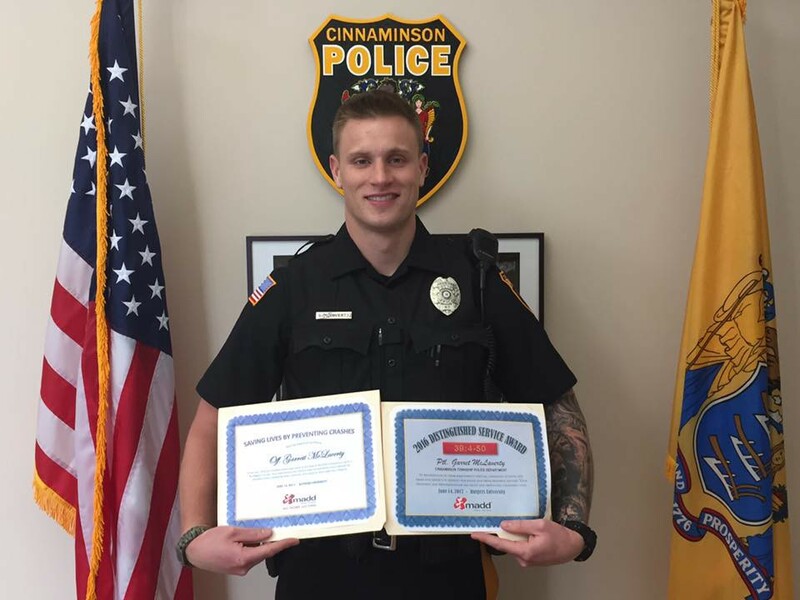 24-year-old Cinnaminson Police Officer Garrett McLaverty was recently awarded the ‘Top Cop in Burlington County’ award by Mothers Against Drunk Driving (MADD). The former Cinnaminson High School graduate was honored at Rutgers University back on June 14. McLaverty is an active member in the police force, while always looking to continue to make Burlington County safe. 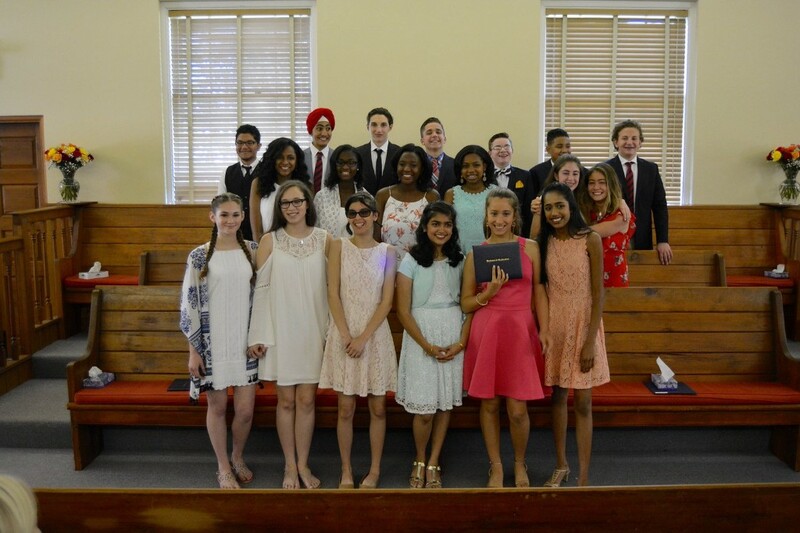 19 eighth-grade students celebrated their graduation from Westfield Friends School on June 9, 2017. The Class of 2017 each prepared and delivered a speech, and are now ready for the next step in their educational careers. The Class of 2017 graduates are heading off to many area high schools, including Moorestown Friends School, Westtown School, George School, St. Joseph’s Prep, Bishop Eustace Prep, Paul VI High School, Moorestown High School, and Lenape High School. A 25-year-old male and a 19-year-old female were arrested at 3:16 a.m. on June 18. The male and female were stopped after going in the reverse direction at the Riverton Road jughandle. After an inspection of the car, officers found a 9mm handgun and a magazine loaded with hollow point bullets. Officers also located marijuana and various CDS paraphernalia. Both occupants were arrested without incident. The Cinnaminson Fire Department swore in three new members on June 20 at their monthly board meeting. 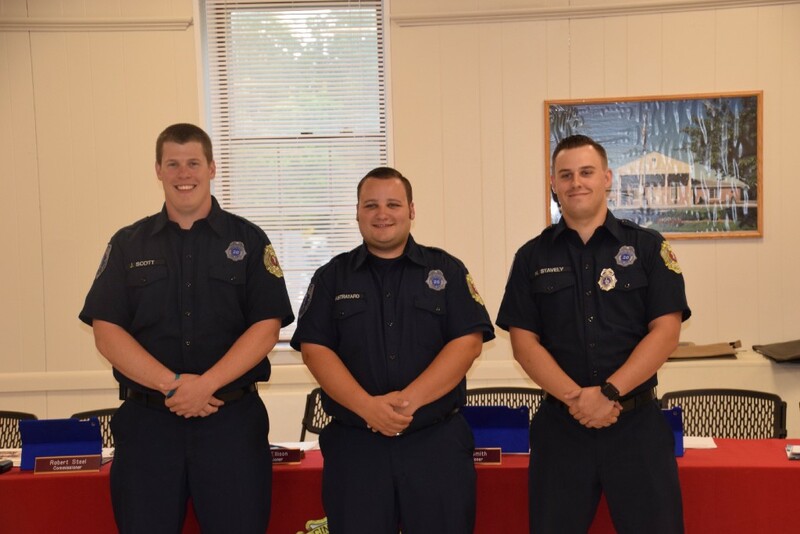 Jason Scott, Michael Castrataro and Nicholas Stavely all took their oaths and will join the fire department as both EMT’s and firefighters. The trio completed the training process and will begin immediately in their roles. Cinnaminson High School saw two representatives in the 2017 Carpenter Cup softball tournament. Juniors Rebecca Martino and Brenna MacNair were chosen to represent the Burlington County team. The tournament took place at the Phillies MLB Urban Youth Academy Softball Fields at FDR Park.